There are places I visit that cause the immediate sensation of being in another world. 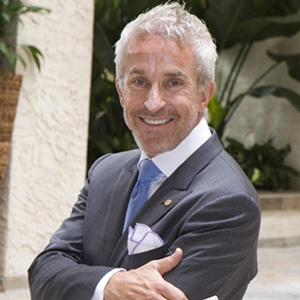 Certain cities and locations transport me with a sense of connection to my imagination: places I visit that seem to me most dreamlike, such as Venice, Seville, and Beijing. These places inspire great flights of creativity. Or Shangri-La, which is the cityscape I imagined while creating my third collection of trimmings for Samuel & Sons. Inspired as well by the sheer beauty of the techniques of artisanal craft and handwork, I began drawing the most romantic and timeless effects I could dream. Thus, this new passementerie collection for Samuel & Sons explores patterns through ethereal, hand-beaded, embroidered silk and linen borders, in a broad palette of sumptuous hues. 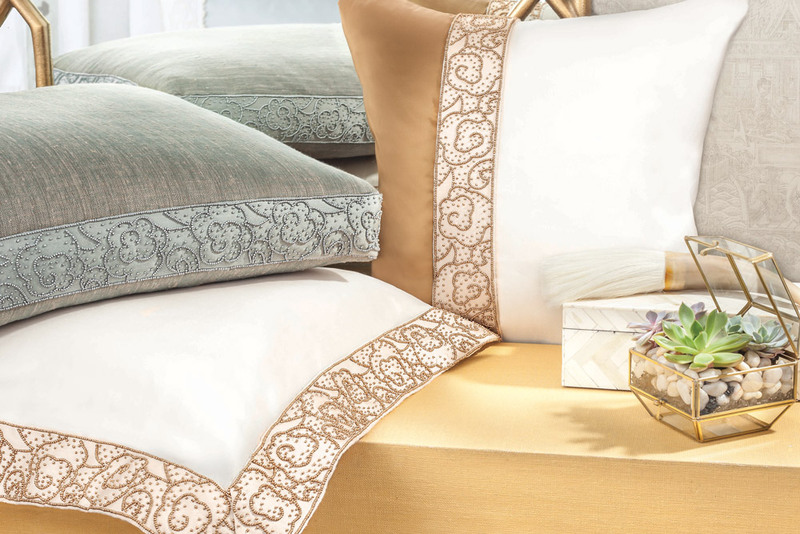 You can see the gorgeous color choices for all five styles in the Shangri-La collection in the Samuel & Sons section of my website. Enjoy! Trimmed in Aslan, featuring bugle beads surrounded by petite seed beads. 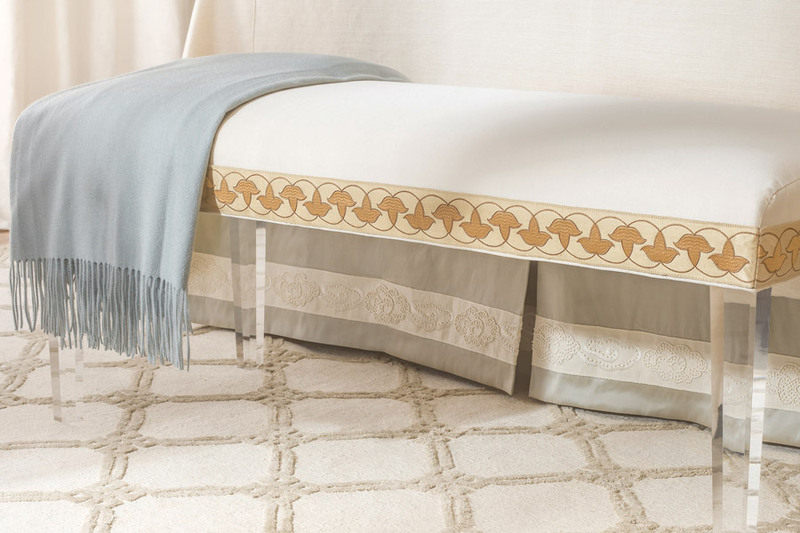 The Mandarin Cloud beaded border, in Seacrest and Pale Gold. 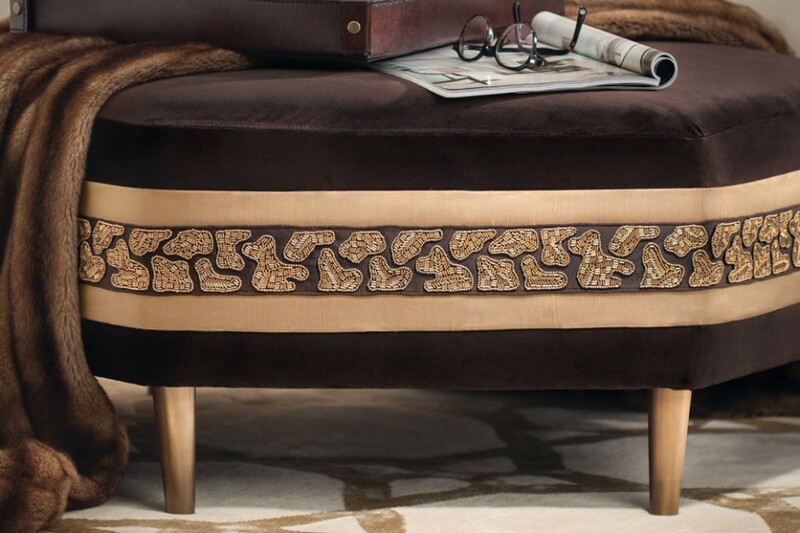 The Elysian trim on this bench, in D’Or, is a mystical botanical pattern of lustrous leaves. The bedskirt’s China Cloud border is in Chantilly Cream. 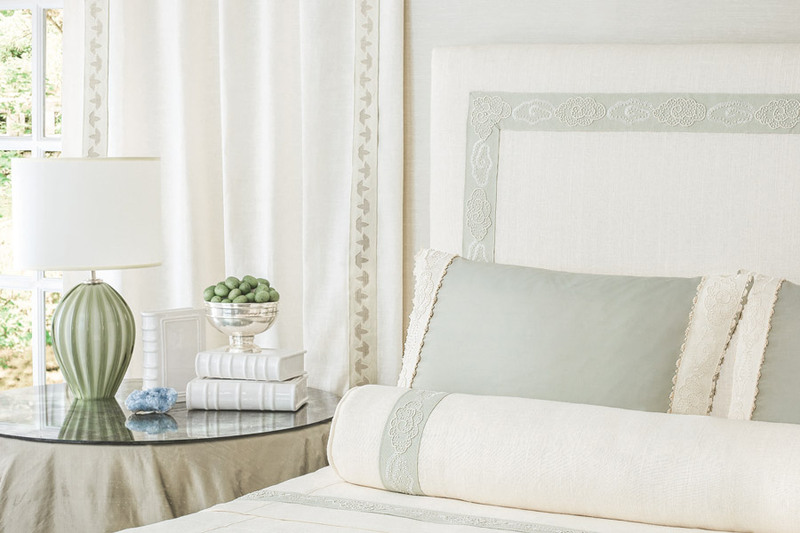 China Cloud adorns the bed with organic renderings of hand-embroidered French knots and satin stitches on linen; Elysian borders the draperies. 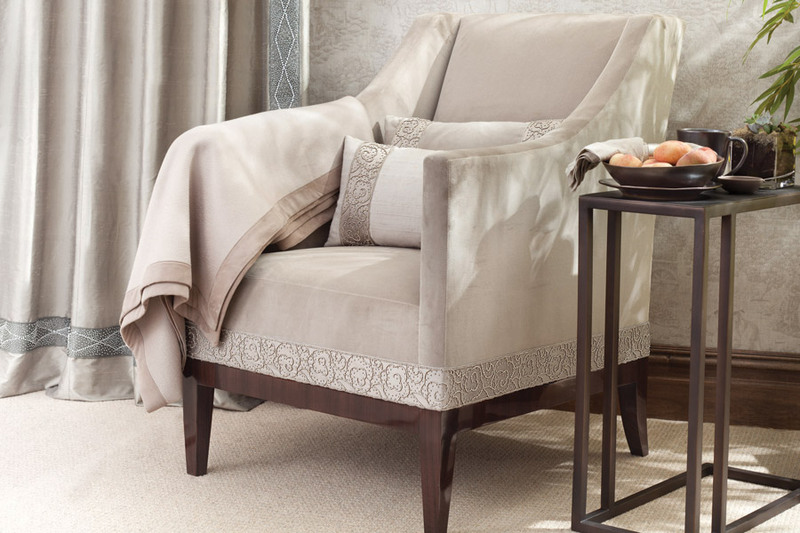 The chair features an ornate, celestial pattern I call Mandarin Cloud, in a hue we named “Smudge.” Another pattern, Diamond Constellation in “Ash,” sets off the drapery.